Disclaimer: The information on this page is intended for individuals who have been medically diagnosed with Ischial bursitis. If you suspect that you have Ischial bursitis then it is important to visit a qualified medical professional in order to rule out any other possible causes prior to considering any advice or treatment option. 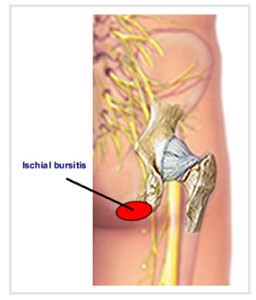 Ischial bursitis is one of several common and painful types of hip bursitis. 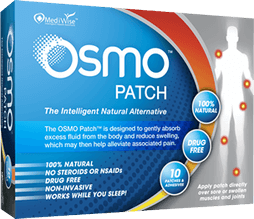 The term refers to inflammation and swelling of the ischial bursa and is sometimes also known as weaver’s bottom. Ischial bursitis is found between the gluteus maximus muscle of the buttocks and the underlying bony protrusion of the pelvic hip bone that we sit on. The most common sign of ischial bursitis pain in the buttocks which increases when sitting. To learn more about hip bursitis click the link below.